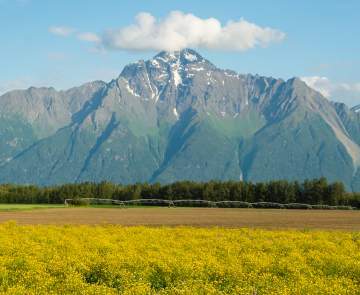 Just 45 minutes from Anchorage, this picturesque little town has agriculture flair. Start your adventure in this ‘country&apos; at the Palmer Visitor Information Center. Don&apos;t forget to pick up a downtown walking map while you&apos;re there. On Fridays is Friday Flings; an open air market located across from the Visitor Information Center. Just up the street take a tour of a restored Colony home (circa 1935). 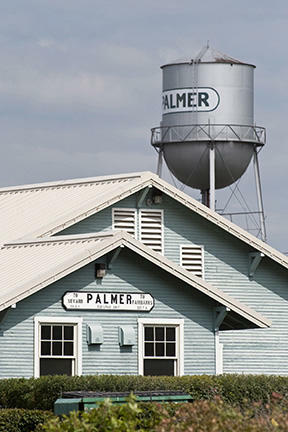 Palmer&apos;s history runs deep, as more than 200 families were relocated to the area under the New Deal in the early 1930s. These hearty settlers came to the area from the Midwest, to establish an agricultural community, thanks in part to the rich soil in the area that was carved thousands of years ago by glaciers. Today, that history is celebrated in mid-June with Colony Days, which takes over downtown Palmer with a parade, events for kids, a farmer&apos;s market and much more. In mid-December, Colony Christmas has a Norman Rockwell-type feel, with sleigh rides, a parade of lights and artisans selling their homemade wares. These are two events you don&apos;t want to miss. Palmer is the agricultural hub of Alaska and is known worldwide for the giant vegetables grown in the area, including a world record 139-pound cabbage. How is that even possible? Well, 20 hours of sunlight in the summer certainly helps! These giant vegetables are a major draw at Palmer&apos;s signature event, the Alaska State Fair, which runs late August to early September, concluding on Labor Day each year. Check out the trendy boutique shopping for local artwork in the downtown shops. Palmer&apos;s quaint downtown is filled with family-run shops, bakeries and restaurants. Several restaurants in Palmer specialize in locally-grown vegetables on their menu, for a true farm-to-table experience. 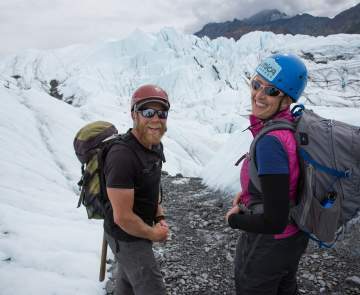 If you need to get in the swing of things, the Palmer Golf Course offers stunning views of the Chugach Mountains and Knik Glacier, and it has been voted as one of the most scenic golf courses in America several times by leading golf magazines.